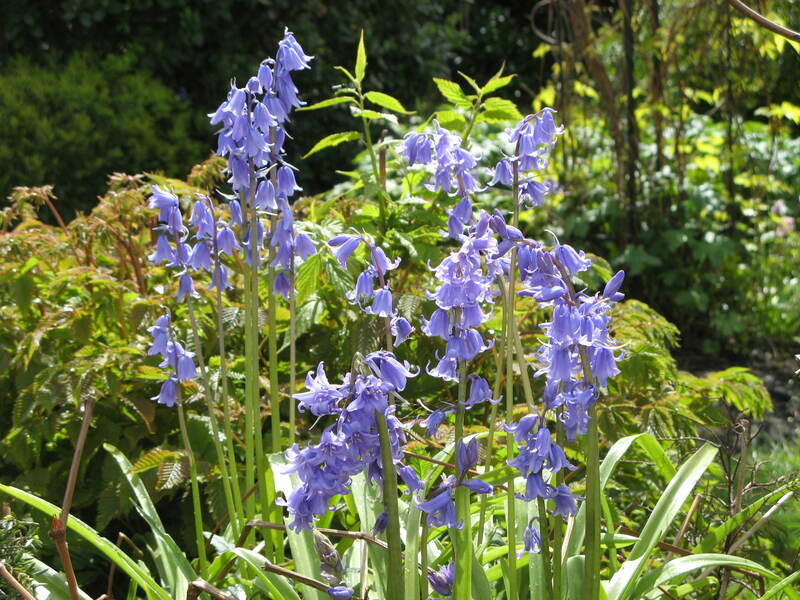 My garden is full of bluebells just now, they thread themselves through the other plants in the borders and pop up all over the place. 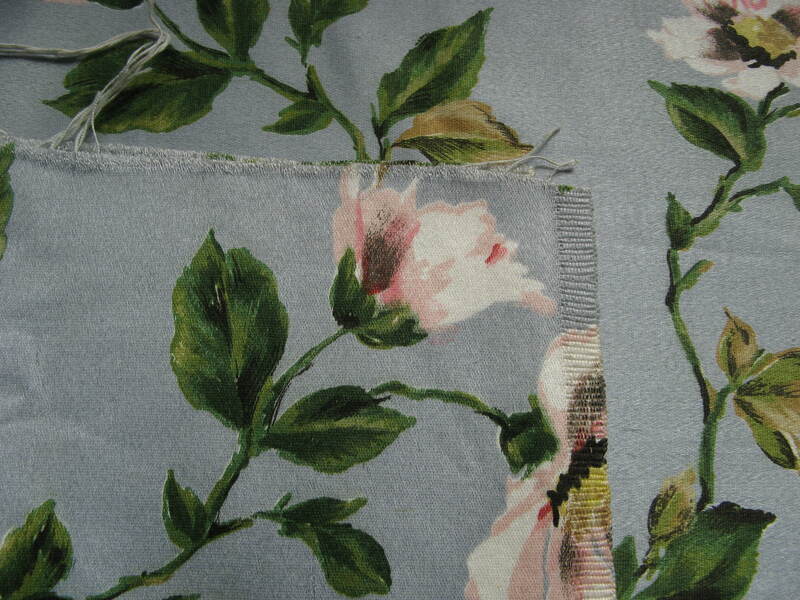 The wash of lovely soft purply-blues have cheered me up on the cold rainy days we`ve been having lately. I popped out on a rare moment of sunshine the other day to take some photos. 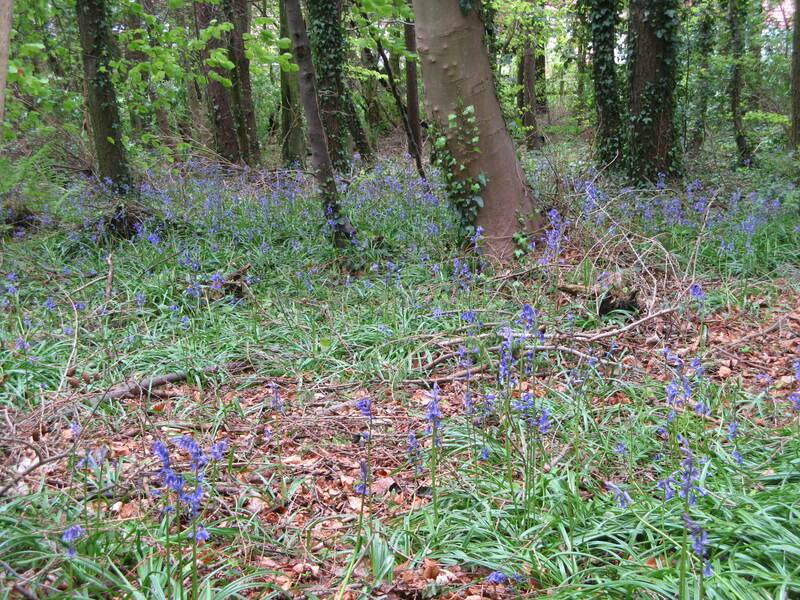 I`ve been looking forward to a walk in our local bluebell woods, where there are whole swathes and carpets of bluebells growing under beech trees. 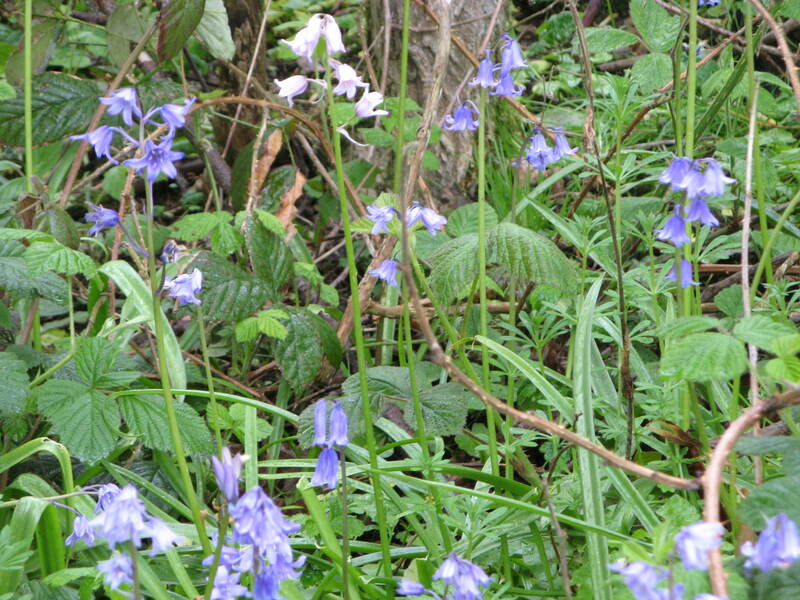 I`ll try to go next week, hopefully the weather will be a bit drier and the path leading to the wood won`t be such a quagmire. 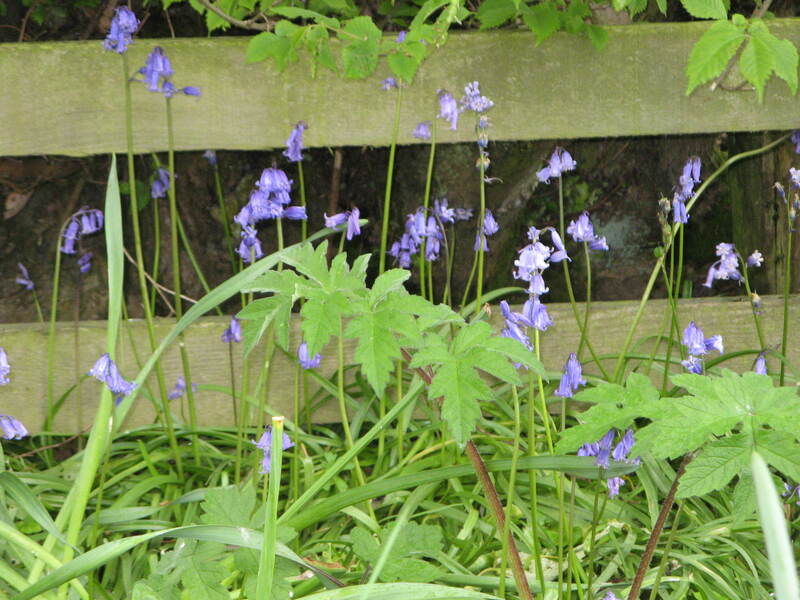 I had a walk in the rain yesterday and found lots of wild bluebells, even some in a mini wood. 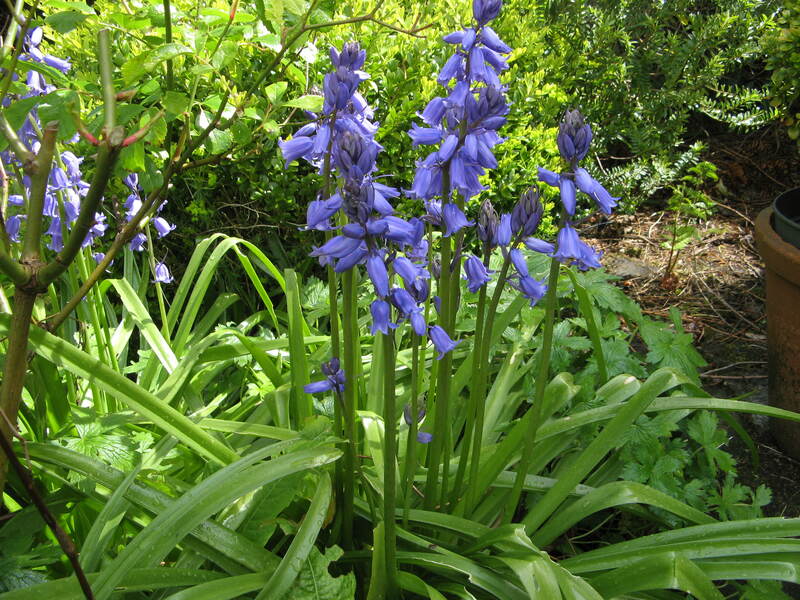 The wild bluebells are much darker and smaller than the garden ones. 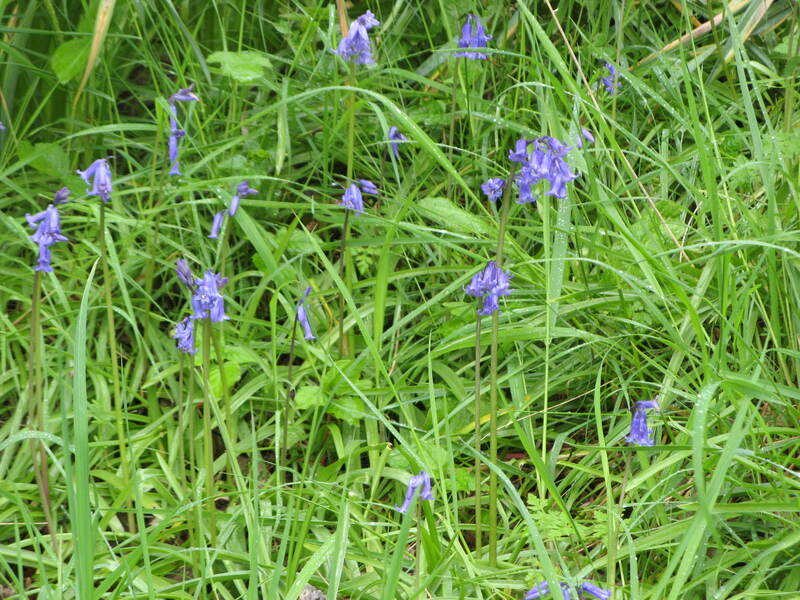 The little dots of blue really stood out against all the wet, green leaves of the undergrowth, and the dampness brought out their fresh scent. 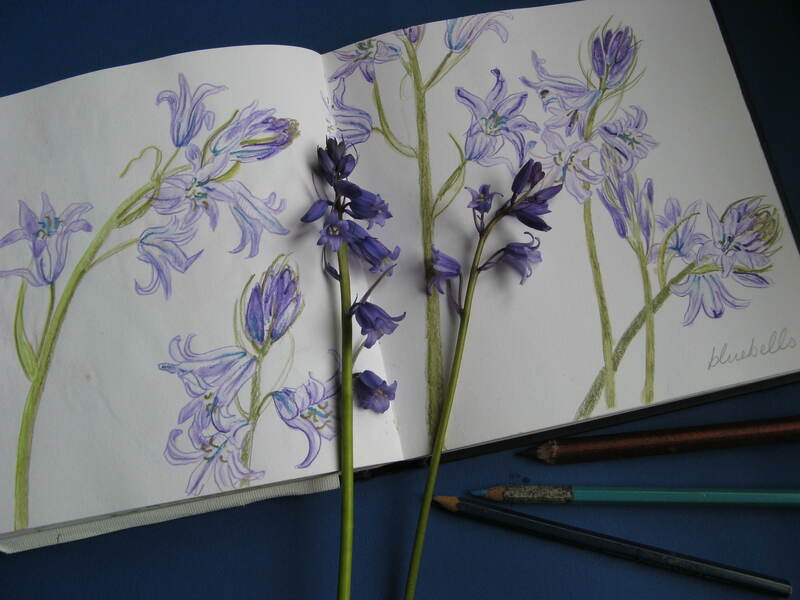 When I got home I brought some bluebells in from the garden to draw. 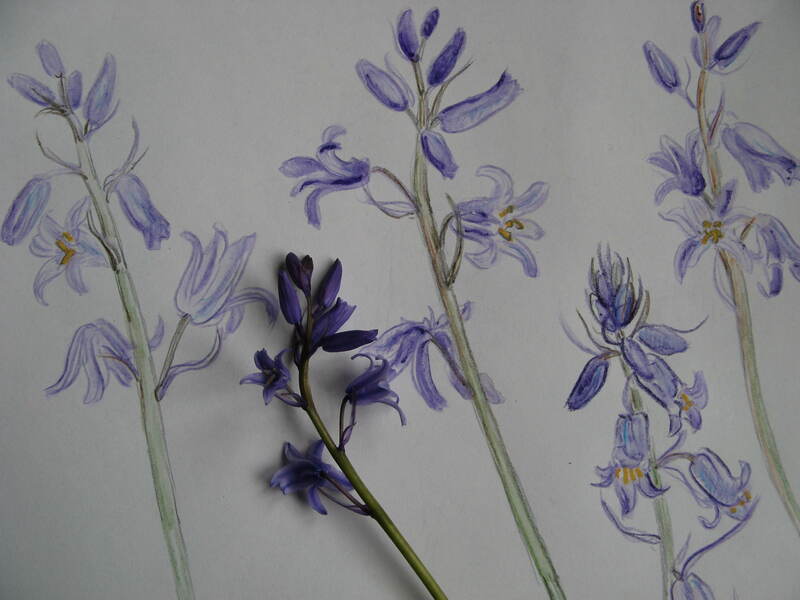 They are really more purple than blue when you look closely, with tiny streaks of turquoise. 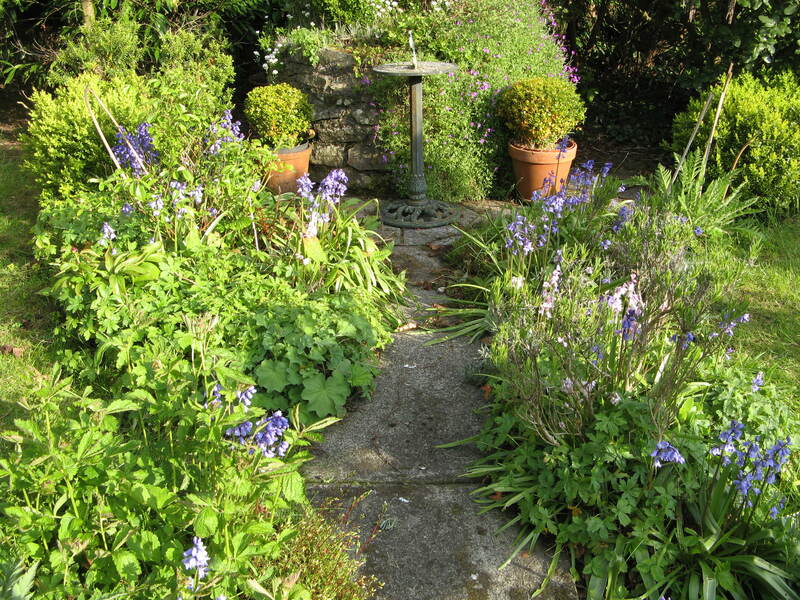 I like the way the bells grow in all directions. 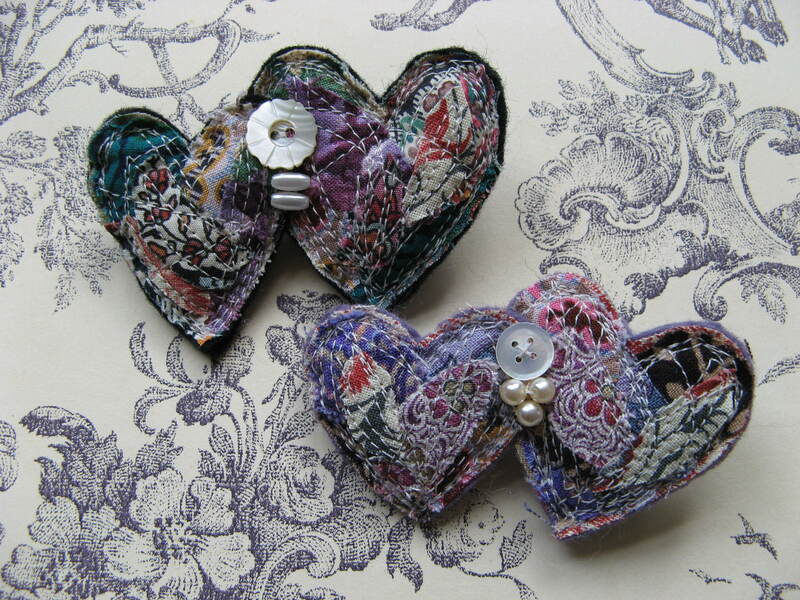 I`d like to try some embroideries based on these drawings, but in the meantime I made another little heart brooch inspired by bluebell colours. 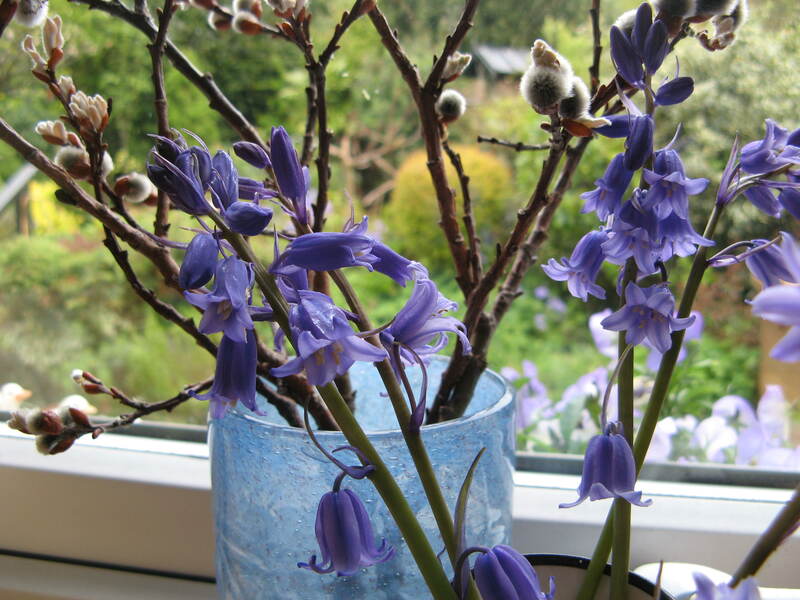 A little posy to enjoy on my kitchen windowsill. 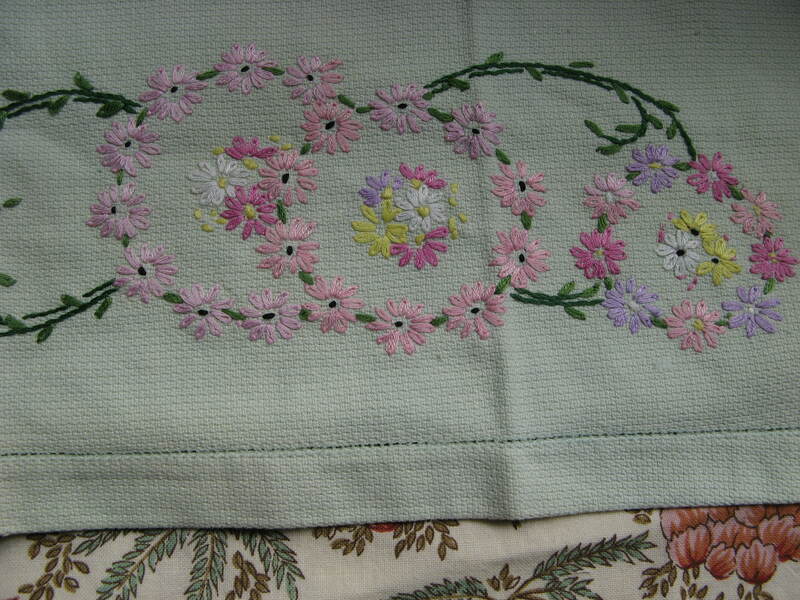 I`m very lucky to have a sewing room, but it faces to the front of the house, so if I have hand sewing to finish, I`ll usually take it through to the kitchen table so I can look out to the garden. 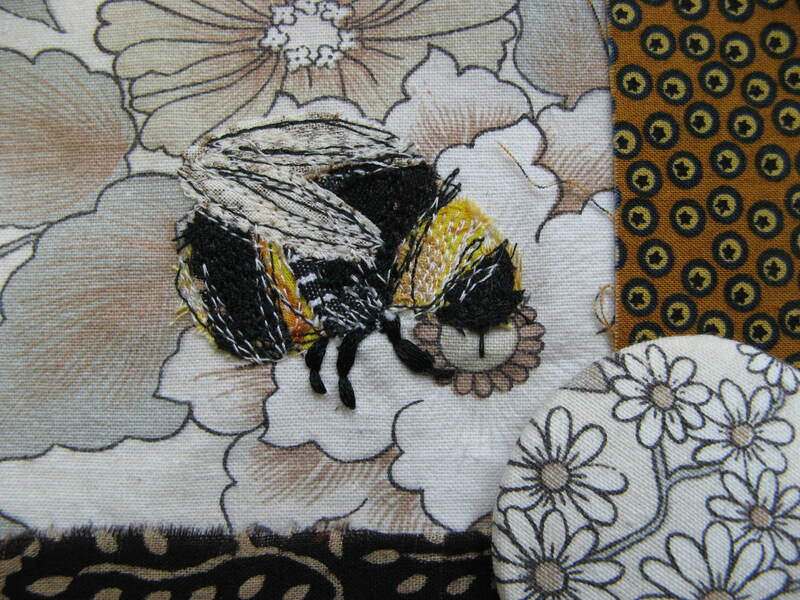 Quite often in Spring there will be a gentle tap (or bump) at the window and it will be a newly emerged bumble bee, trying to get to the jug of flowers on the window sill. 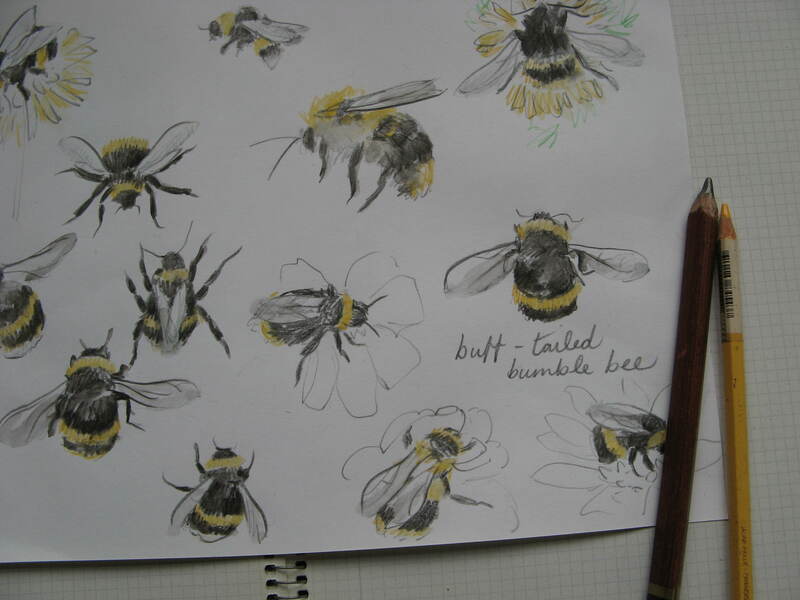 I think bumble bees are gorgeous, so fat and furry you just want to stroke them! They are the first bees to emerge in Spring and a sure sign that Winter is over. 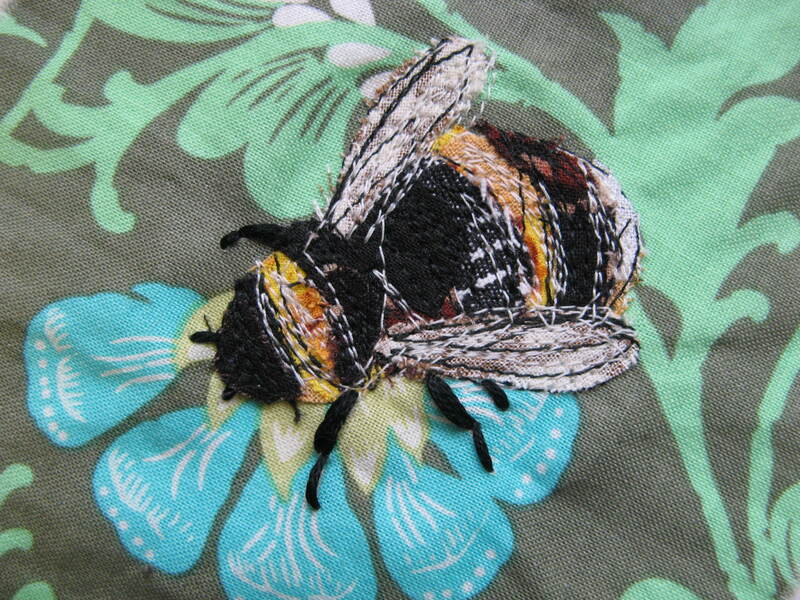 I`d been thinking about bees this week, after having a dream that I made some pin cushions with busy bees on them. 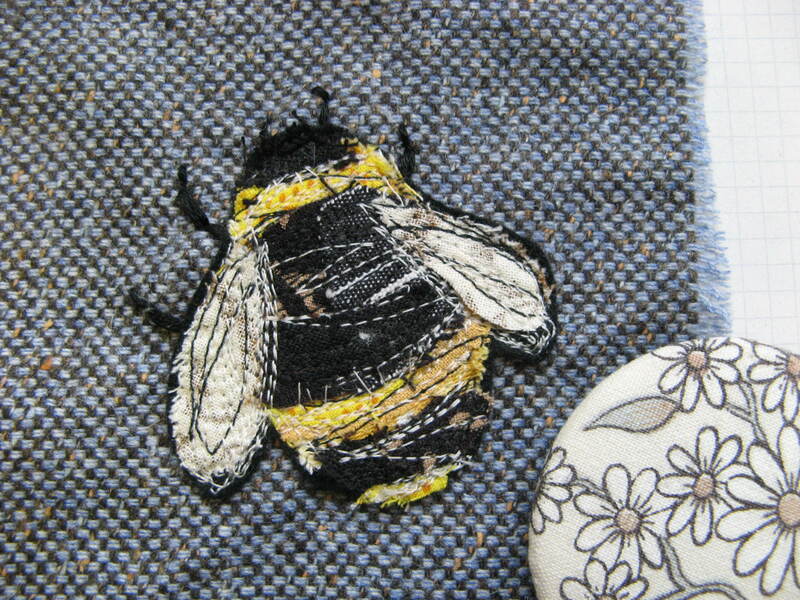 I wanted to have a go at stitching some bees, using the same layered technique I`ve been using for my heart brooches. 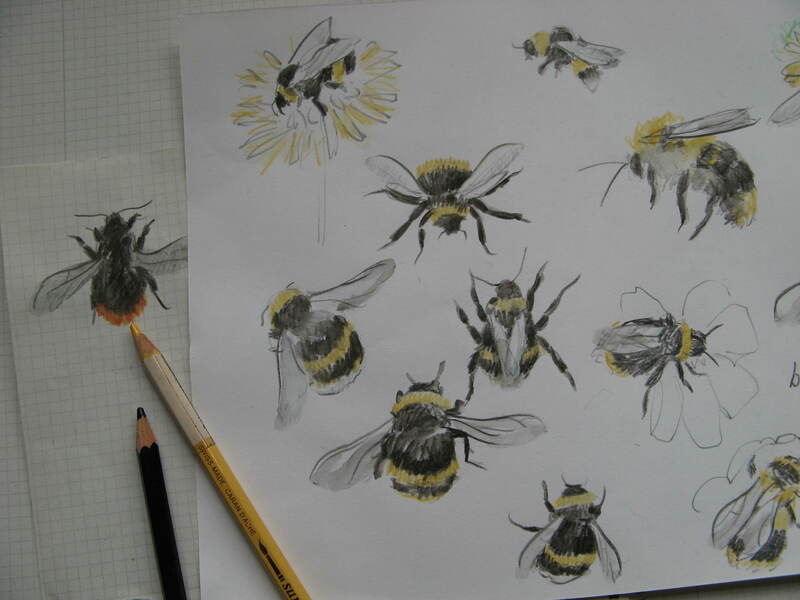 It wasn`t quite right, so I decided to sketch some bees in the garden on the one sunny afternoon we had this week. I love sketching animals from life, such a nice free and scribbly way to draw. 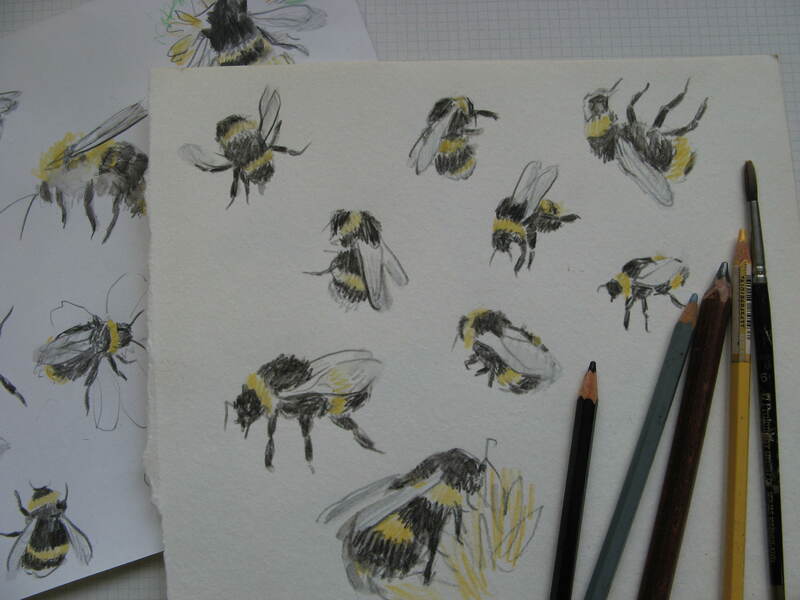 I really should make time for more drawing, I enjoyed scribbling these little bees. 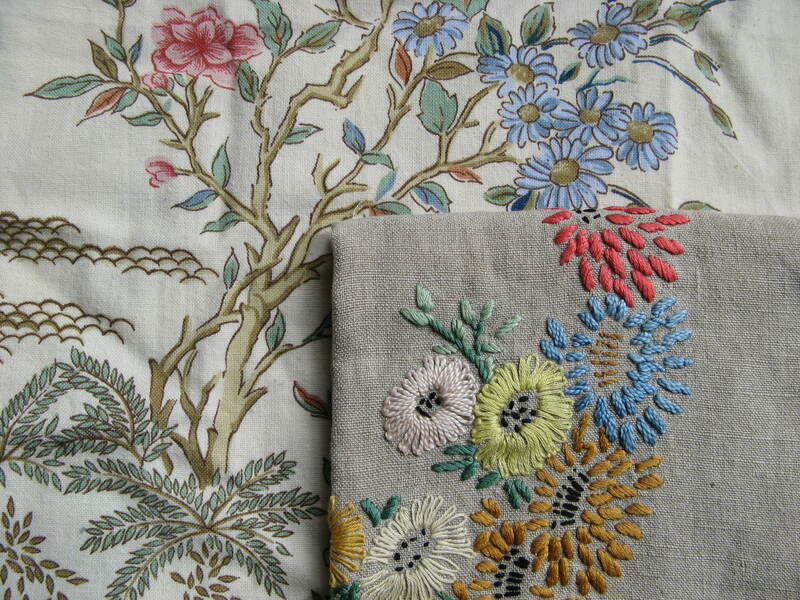 Then I did a couple of embroideries straight from the drawings. 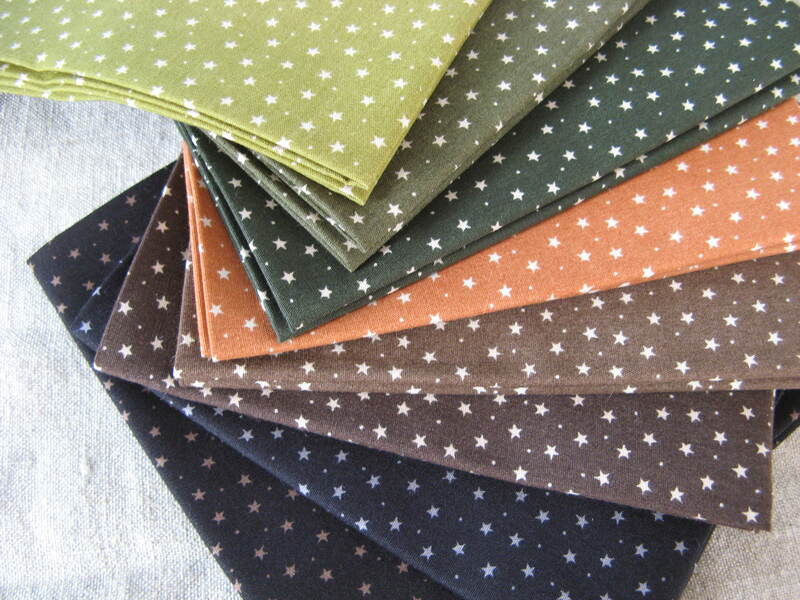 These were much better. 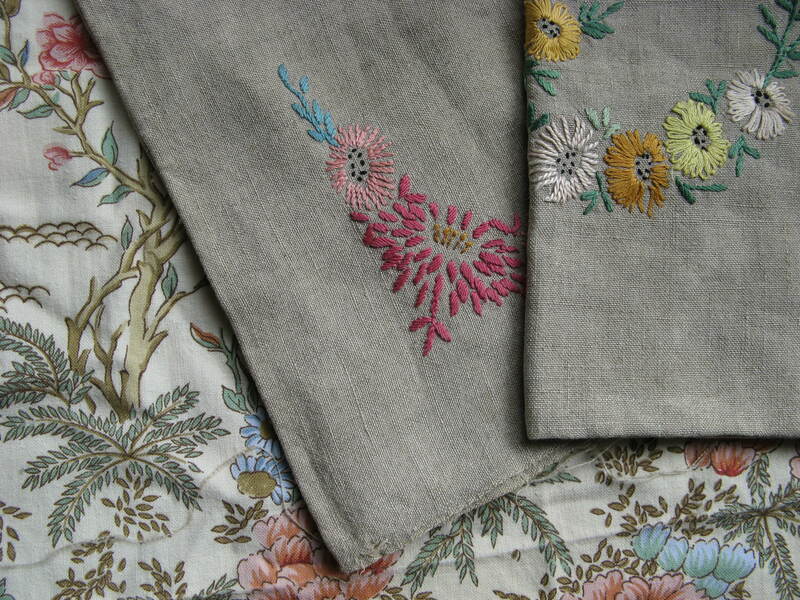 I`m pleased with them, I think they look quite life-like, but with the same loose, sketchy feel. 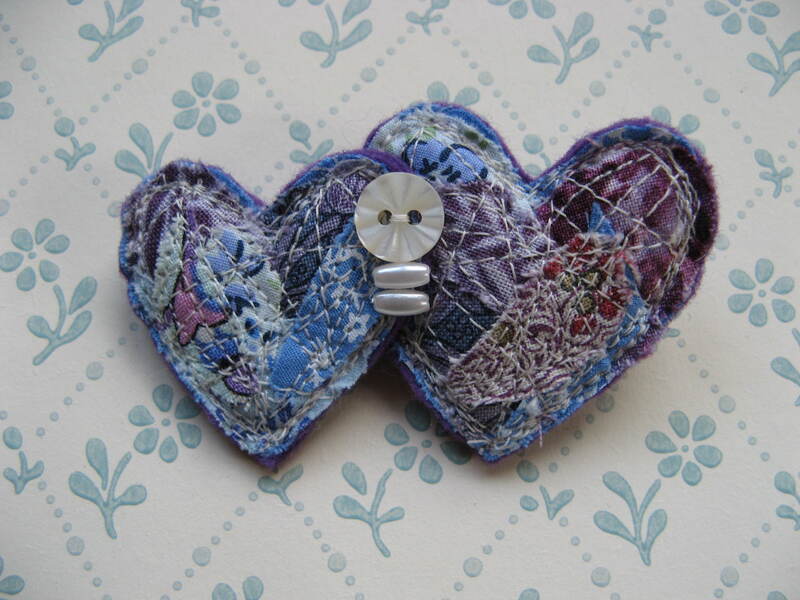 I`ve been happily making more of these little stitched hearts all week and I`m so pleased with them! 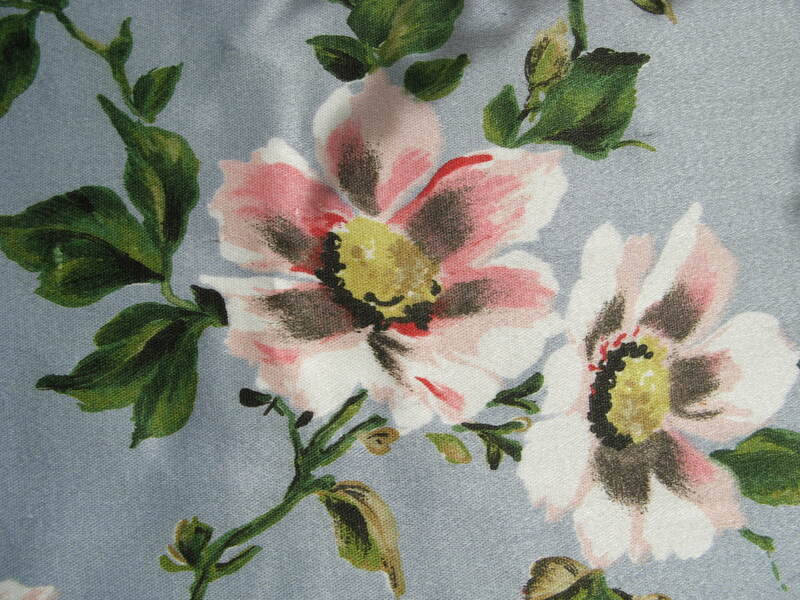 My first batch was delivered to Flux and the Lucie Fenton Gallery today and I was almost sorry to see them go! 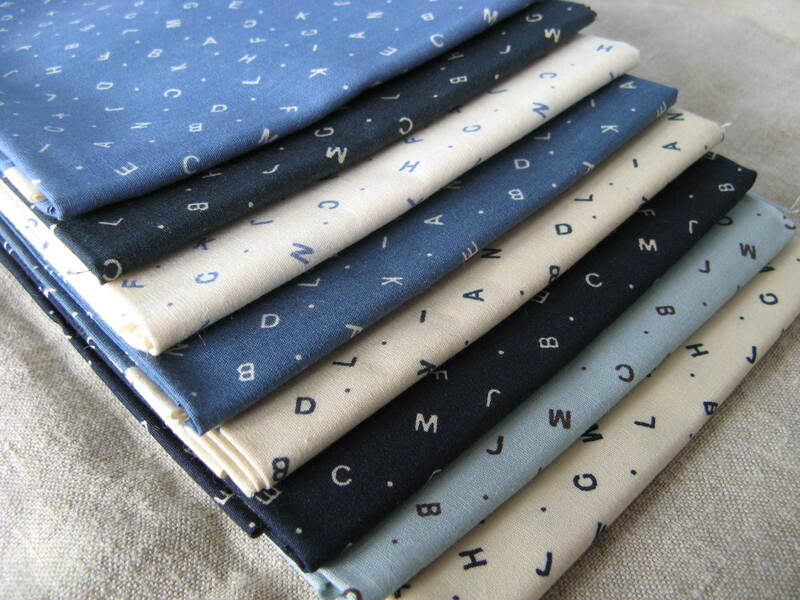 I really enjoy making them and they`ve been inspiring me for future projects. 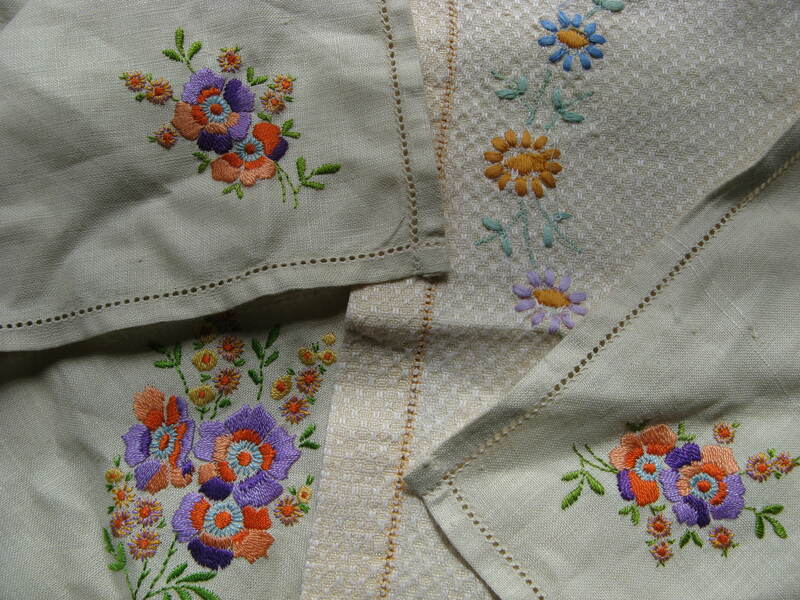 I like the subtle blend of the different colours and patterns and the way the stitching gives them an almost faded look. 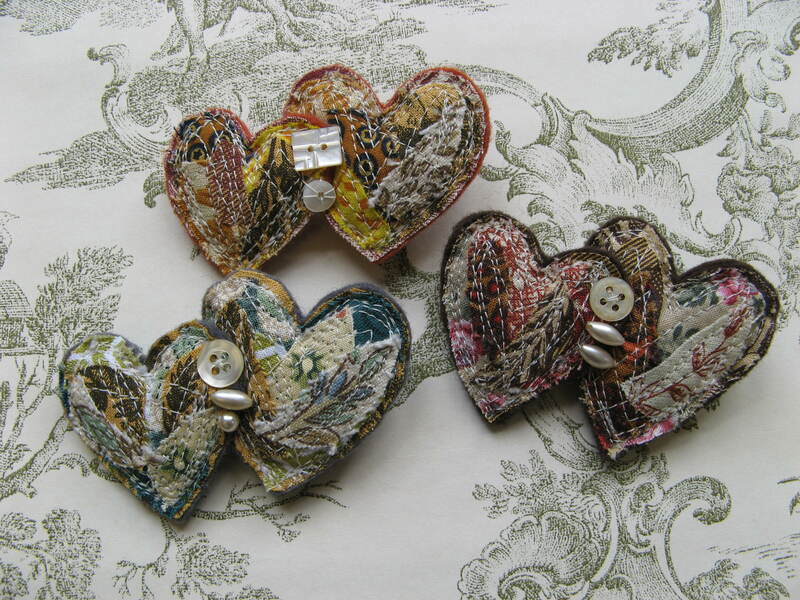 They`re quite delicate and much smaller than most of my brooches. 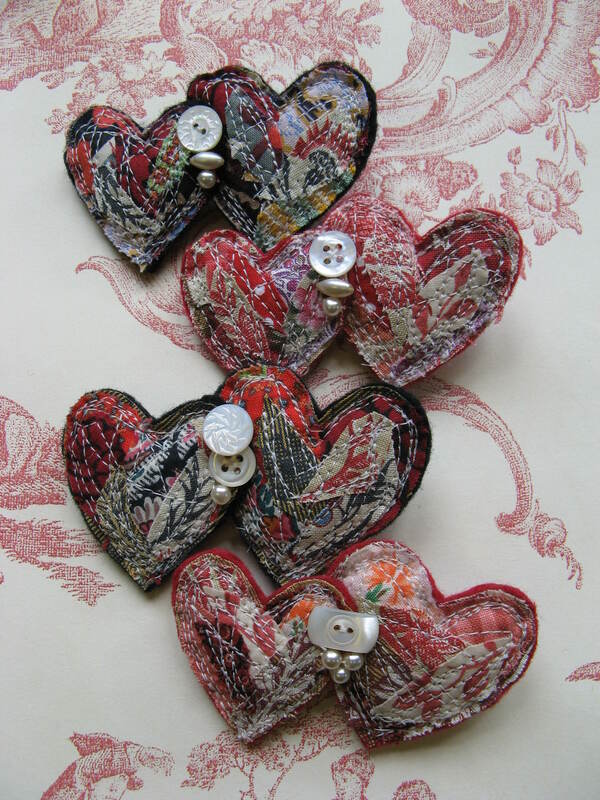 I`ve enjoyed looking out my tiniest shell buttons and vintage pearls to finish them off. 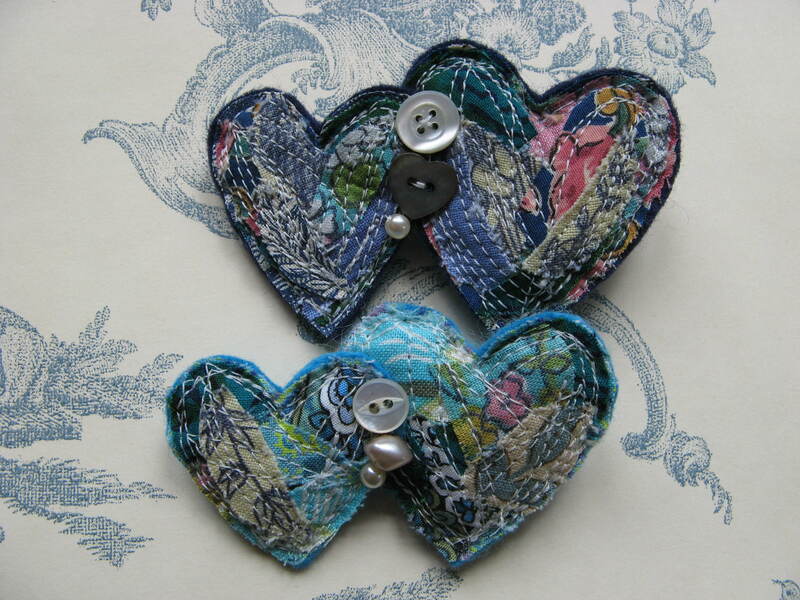 I`ve been thinking of other ways of using this technique and in between sewing the hearts there`s been lots of doodling going on… Looking forward to starting some new work, but time for a few more hearts first!